Rainer Jueckstock takes over as CEO on April 1. 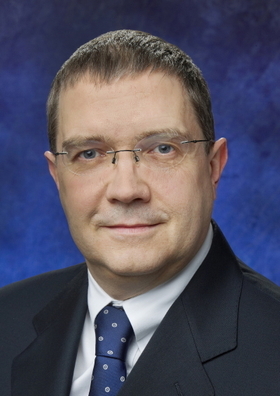 Auto parts supplier Federal-Mogul has picked Rainer Jueckstock as its new CEO. He will replace Jose Maria Alapont, who will retire at the end of this month. The maker of powertrain and safety technology, which counts on Europe for more than half of its global sales, also says it will create an independent aftermarket division. Jueckstock is currently the senior vice president of Federal-Mogul's powertrain energy business unit. The 52-year-old executive also will join the company's board. Federal-Mogul makes a variety of original equipment and brand-name aftermarket parts, including pistons, spark plugs, windshield wiper blades, brake pads and other components. 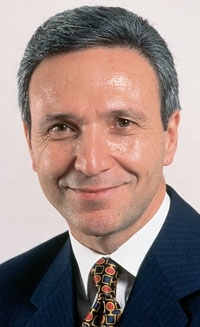 Jose Maria Alapont will remain on the Federal-Mogul board through its 2013 annual meeting. The company, majority-owned by billionaire investor Carl Icahn, said Alapont, 61, would remain with it in a consulting role to assist with the transition. Alapont also will remain on the board through the 2013 annual meeting. "I want to sincerely thank Jose Maria ... for remaining with the company longer than he had originally committed," Icahn, Federal-Mogul's non-executive chairman, said in a statement. Federal-Mogul officials added that Alapont chose to take voluntary retirement. The suburban Detroit company also said it is modifying its corporate structure to create a separate and independent aftermarket, or replacement parts, division. Federal-Mogul said it has hired a search firm to find the new unit's CEO, who will report directly to the board. Federal-Mogul's aftermarket business unit had global sales last year of $2.3 billion. Federal-Mogul ranks No. 44 on the Automotive News Europe list of the top 100 global suppliers with worldwide sales to automakers of $3.9 billion in 2010. Europe accounted for 53 percent of that total.